Joanna received her master’s in Mental Health Counseling from Regent University, VA. Prior to that she received her Doctor in Medicine and Post Graduate Training in Pediatrics from I.M. Sechenov First Moscow State Medical University in Moscow, Russia. Joanna has had several work and volunteer experiences in areas including crisis stabilization, integrated care, domestic violence, sexual trauma, sexual identity, psychosocial rehabilitation and addiction in multicultural and cross-cultural settings. In her clinical work Joanna regularly incorporates Cognitive Behavioral Therapy, Solution Focused Brief Therapy and Mindfulness-based techniques. Her passion is to provide holistic care and empower women from all walks of life. Varinia is from Costa Rica, where she grew up. She moved to Virginia to go to school, and received a BA in Psychology from Roanoke College. Varinia also obtained her M.Ed in counseling from Virginia Commonwealth University. She has been working in the mental health field since 2011, working with children and adolescents through various agencies, such as Region Ten, ReadyKids, Albemarle County and Charlottesville City Schools. Varinia has focused on providing mental health services primarily to the local Hispanic population. Using various clinical approaches in her practice, Varinia has been trained in Trauma Focus cognitive behavior therapy, EMDR, play therapy, family therapy and mindfulness. She has experience in treating individuals with anxiety, depression, domestic violence, sexual abuse, neglect and immigration trauma. Varinia is a strong advocate for our immigrant population, who inspire her to provide positive healing to those who need encouragement and strength. Ashley has committed herself to developing and maintaining therapeutic environments that are inclusive and aim to empower and support women, regardless of their background and circumstances; empowering them to live to their fullest potential and support them in breaking down barriers that might inhibit them from doing so. As such, she spent more than 10 years as a therapist and eventually the Mental Health Director at the Fluvanna Correctional Center for Women. At the prison she was provided the opportunity to work with the seriously and persistently mentally ill, survivors of childhood and adult trauma and those simply looking to work through the challenges and obstacles that stand between them and the women they hope to be. She draws from a number of therapeutic modalities and theories that are person-centered, trauma-informed and gender-responsive. Ashley received her master’s degree in Mental Health Counseling from the University of Virginia where she also completed an internship at the UVA Women’s Center. 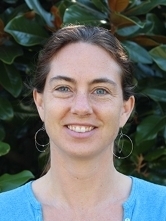 Elizabeth received her Master’s degree in Social Work from the University of North Carolina, where she practiced before relocating to Charlottesville. Elizabeth is passionate about providing LGBTQ+ affirming care and utilizes her training in Cognitive Behavioral Therapy, Motivational Interviewing, Eye Movement Desensitization Reprocessing (EMDR), and creative expression to support her clients in working towards their goals. Additionally, she manages The Women’s Initiative’s social support program. Judith obtained her PhD degree from the University of Virginia in 1996. She also completed her residency and post-doctoral neuropsychology fellowship at the University of Virginia. She worked as the Mental Health Director at Greensville Correctional Center for two years and, in 2002, began working at Western State Hospital. Currently, she works as a part-time therapist at The Women’s Initiative. She is passionate about helping all women have access to mental health services. Judith’s interests include insight-oriented and mindfulness-based therapies. Aisha received her master’s degree in Counselor Education from the University of Virginia. Aisha first began her commitment to promoting and empowering women during her internship at the UVA Women’s Center. Since that time, she has been providing counseling and community support to women and their families as they overcome barriers and manage mental illness, trauma, and grief. Aisha approaches counseling from a person-centered, strengths-based framework, and she regularly incorporates elements of family systems and mindfulness into practice. Elizabeth Irvin has dedicated her career to promoting healing for women who have experienced trauma and working to assure that everyone has access to compassionate and effective care. She has a joint degree in law and social work from the University of North Carolina and has worked for more than twenty years providing mental health treatment for women. She joined The Women’s Initiative in 2009 as the agency’s first Spanish-speaking therapist, founding the Bienestar program to serve Latina women in our community. In 2013 she became the Executive Director and has guided the agency into becoming the second-largest provider of mental health care in the Charlottesville area and a leader in trauma-informed, culturally responsive care. As a therapist, Elizabeth emphasizes a strengths-based perspective as she supports clients on their healing journeys from past traumas. Her clinical work incorporates EMDR, mindfulness-based practices, internal family systems and grief work. She believes that every person possesses the strength and resilience they need to heal. A graduate of the Autonomous University of the State of Mexico in Atlacomulco, Ulises holds a Bachelor’s in Psychology and nearly ten years of experience in the clinical field working with adults, adolescents and children with mental health issues. As a mental health professional, Ulises has always been committed to the well-being of the people around him. He firmly believes that every person is born with the capacity to transform the world with their everyday actions and thoughts. "By being conscious how our own choices can affect our life, we can start generating positive changes that will impact ourselves and the people around us." Andrea welcomes clients to The Women’s Initiative with compassion and respect. Her career experience includes educating children with special needs and behavioral challenges in Albemarle County Public Schools and Northern Virginia. She has a passion for offering reading support to students during summer vacation to encourage children to develop a love for learning and help close achievement gaps in education. Andrea is an avid lifestyle blogger and believes every woman has a meaningful story to tell. Ingrid has a master’s degree in professional counseling from Liberty University and a Bachelor’s degree in Psychology from the Universidad Tecnologica de Santiago. Her past work includes experience as Latino Services Program Coordinator at the Charlottesville League of Therapists where she worked with children, individuals and families. She is passionate about her work with Hispanics and women's issues. Ingrid has experience working with issues of depression, anxiety, and trauma. At the Women's Initiative she enjoys individual work with women, couples therapy, and group therapy for Latina women. Shell has a master's degree in social work from Virginia Commonwealth University (VCU), a bachelor's degree in sociology and a background in community organizing. Shell has worked extensively with women and families as a mentor, teacher, tutor, camp director and case manager. She is committed to approaching social work through a social justice lens. Most recently Shell spent a year working as an advocate with survivors of sexual assault. She believes in the innate healing power of each individual and often uses EMDR, Internal Family Systems, Mindfulness and Nature Connection to promote self-awareness and well-being. Alyson received her master’s degree from Valdosta State University in Marriage and Family Therapy. Her experience includes school counseling, providing intensive in-home services and working in a brief-therapy center conducting individual, couples, group and family therapy. Presenting problems she has worked with include but are not limited to depression, anxiety, chronic pain, marital work, intellectual disabilities, parenting needs and eating disorders. Strengths-based, Narrative, Solution Focused and MRI are models she uses when working with clients. Her hobbies include writing, blogging, reading, listening to music, spending time with friends and watching movies. She believes that an individual can either “forget everything and run, or face everything and rise; the choice is their own” --Zig Zigler. She is passionate about working with women’s understanding of self-worth, cultural identity, identity within interpersonal relationships and motherhood. Alyson describes a client’s process as the overcomer’s journey, where the path on the road to progress can be a bumpy one, but it leads to resiliency, resourcefulness and perseverance. A native of Charlottesville, Shelly has a master’s degree in Social Work from VCU and a bachelor’s degree from the University of Virginia. Her passion is empowering women to reach their full potential as well as an overall sense of well-being. As a therapist, Shelly regularly incorporates Cognitive Behavioral Therapy (CBT), Internal Family Systems, EMDR, and Mindfulness techniques into her practice. Shelly values working out in the community and collaborating with other organizations to provide much needed services, such as leading monthly Wellness discussions at JABA’s Mary Williams Day Center. Shelly is also a facilitator of the Advocates & Clinicians of Color Network, which seeks to increase our community’s capacity to provide culturally responsive mental health care. Emily completed her master’s degree in social work at VCU in 2013. Previously, she received an MFA creative nonfiction writing at the University of New Orleans and participated in several community-based efforts to address trauma and race, first in Greensboro, NC and then in New Orleans. Her clinical background in intensive, community-based treatment has helped her appreciate the multiple and intersecting layers of experience that influence well-being and mental health, as well as the importance of meeting clients where they are. Although she draws from a range of treatment modalities including training in DBT, EMDR, and mindfulness, her clinical practice is grounded in a commitment to social justice, sensitivity to trauma, and belief in relationships as sites of healing and growth. Kerry Day has dedicated her professional career to supporting the vital work of nonprofits. Her extensive experience spans nearly 25 years and includes the full spectrum of responsibility from executive director to passionate volunteer. She brings specialized grant writing and development skills, and has helped organizations large and small, from Charlottesville to Seattle, in pursuit of their mission. Locally, she has supported the efforts of Focused Ultrasound Foundation, UVA Department of Pediatrics, Piedmont CASA, Virginia Quarterly Review, Common Ground Healing Arts, Charlottesville High School Orchestra and more. Perhaps most importantly, she served as The Women’s Initiative’s first Executive Director and is honored to return with an emboldened passion for the cause. Amanda coordinates The Women’s Initiative’s community outreach as well as all program-related communications—including the website, newsletters, social media, and media relations. As the co-chair of the Communications Committee of the Community Mental Health and Wellness Coalition, she works to raise awareness of and destigmatize mental health and substance use services throughout our region. Amanda joined The Women’s Initiative in 2016 after working as a magazine editor and a newspaper reporter. She is a graduate of Williams College and the University of Virginia’s MFA Program in Creative Writing. Amy oversees all TWI financial needs including coordination with our accountant, collection and analysis of agency data, and support of the development database and reports. She also provides support and coordination on branding as well as on print materials for fundraising and marketing. As part of the Challenge into Change Committee, Amy designs the marketing materials and print anthology for the annual writing contest celebrating women’s stories of growth and healing. Amy has been part of the TWI team since 2010. Sarah received her PhD in Marine Science from The University of California Santa Barbara in 2011. Employing her research and grant-writing experience, she refocused her career on advancing gender equality and promoting diversity in the sciences at the University of Virginia. Now with The Women's Initiative, Sarah has broadened her aim to empowering all women in our community, supporting the Executive Director with research, analysis, fundraising, board governance, and technology. Molly joined The Women's Initiative team as a front desk volunteer in July 2017 and quickly realized she wanted to be a full-time part of the important work TWI does in the Charlottesville community for women’s mental health. She received her Bachelor’s in the School of Media Arts and Design from James Madison University and has worked in small business management for the last 11 years. She is excited to support the growing needs of The Women’s Initiative as their Operations Manager. Eileen Barnett is a graduate student at Virginia Commonwealth University, where she is pursuing her Master's Degree in Rehabilitation and Mental Health Counseling. She is thrilled to have the opportunity to practice at The Women's Initiative as part of her final year counseling internship. Eileen hopes to help empower women through strengths-based counseling, mindfulness, and exploring each woman's individual creativity, so that they can discover the full breadth of their personal strengths and thrive to the best of their ability. Kylie Hibshman is a clinical social work student at Virginia Commonwealth University and a Registered Yoga Teacher. She received her undergraduate degree in International Relations from William and Mary. Kylie formerly worked as a Bilingual Family Support Worker at Jefferson Area Children’s Health Improvement Program and a Bilingual Community Health Educator at the UVA Ryan White Clinic. In addition, she previously worked in Granada, Nicaragua supporting health outreach and community gardening initiatives. Kylie is excited to join The Women’s Initiative for the 2018-19 school year. She looks forward to incorporating mindfulness skills, ecotherapy activities, creative expression, and strengths-based perspectives into her clinical practice.